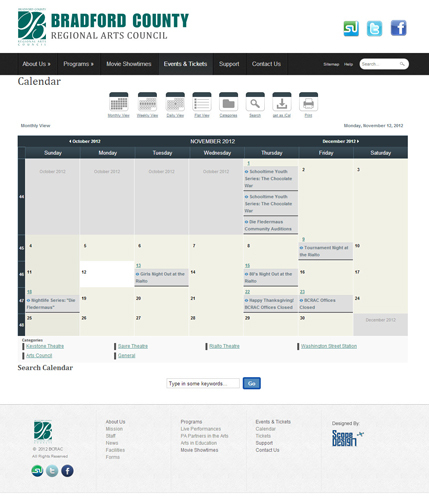 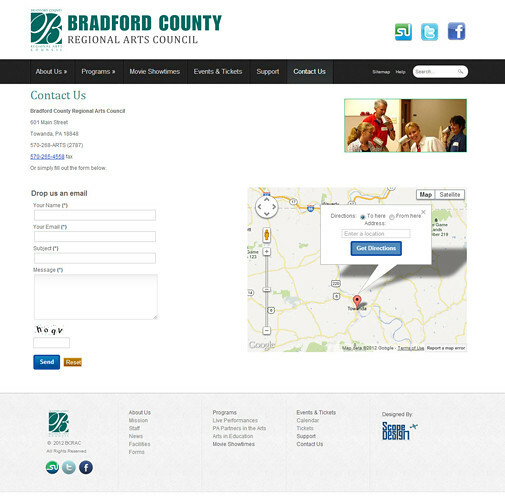 Website for Bradford County Regional Arts Council. 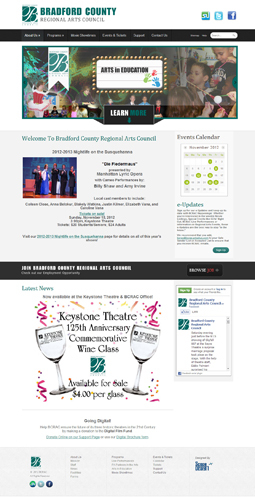 Ttoday, the BCRAC serves as a multi-faceted local arts service organization offering live performances, arts in education programs, re-granting opportunities, and first-run movies, all while maintaining Bradford County’s three historic theatres. 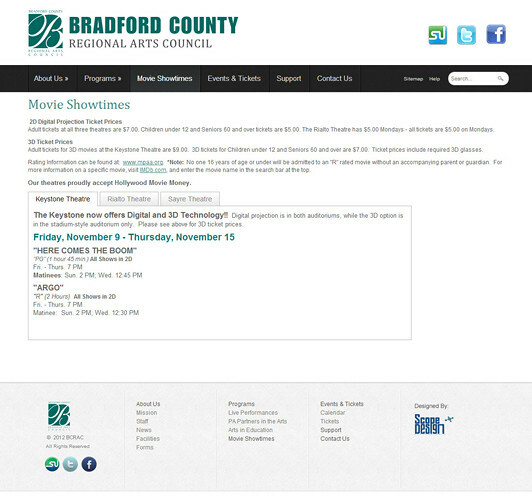 Please stop by this site bcrac.org. 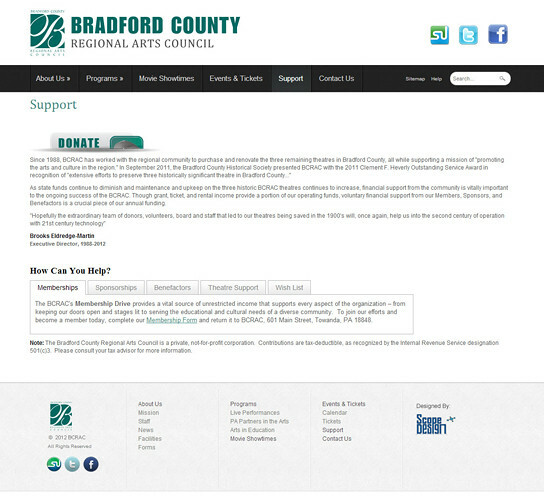 portfolio_tags: Design, Graphic Design, Joomla Development, Not For Profit, and Web Design.